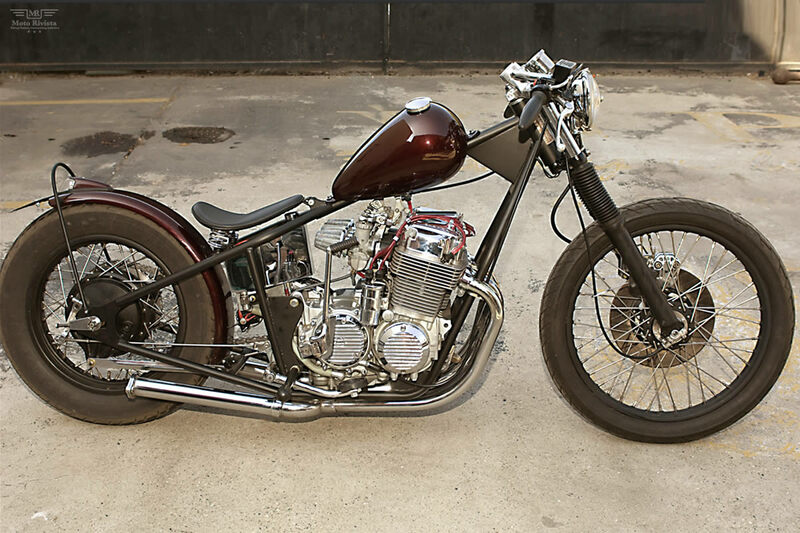 'This bare-knuckle Venice Bobber is a product of its environment. A light, compact weapon was needed to slice through the traffic-choked urban sprawl surrounding the sea-side oasis where it was conceived. Lightweight, quickness, agile handling, and good brakes were top priority. The resulting menacing appearance would give murderous cagers something to text about. To achieve these criteria, an early 70's Amen rigid frame was scored, complete with it's unique oil tank/battery tray. 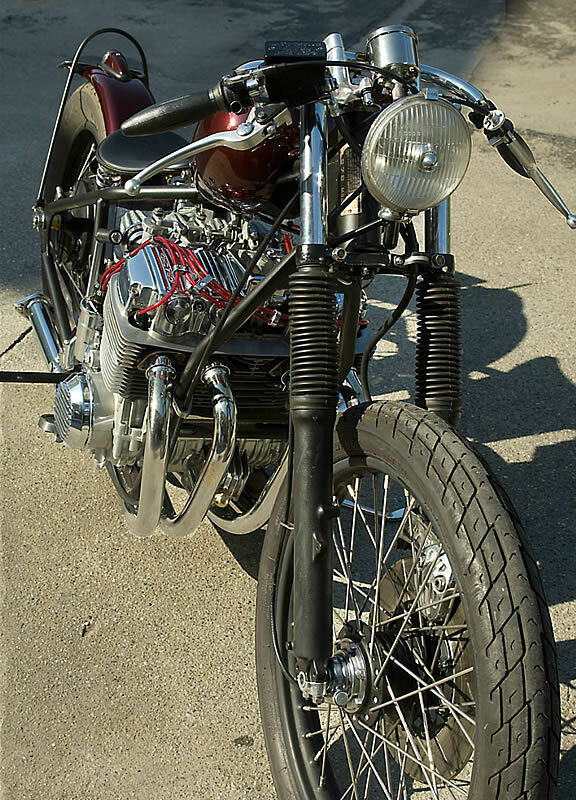 A stock length CB750 front end, combined with a 21" rim, had the frame sitting low, and level. 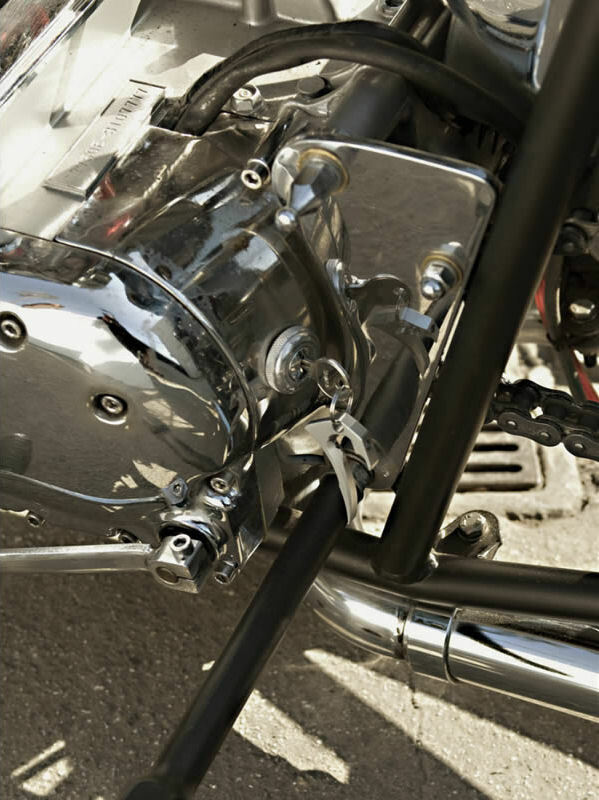 A 17" CB750 rear wheel kept things slim, it's drum brake actuated by a 40' Ford brake pedal, itself operated from solid mid-mount foot pegs. 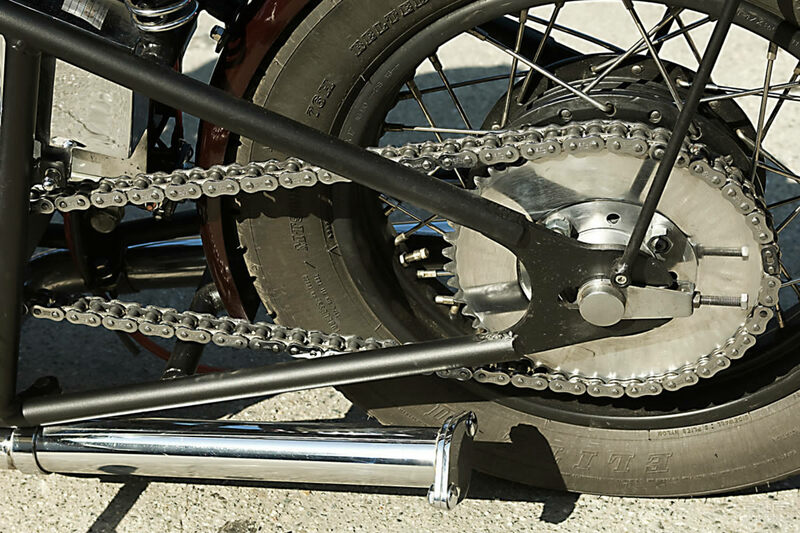 Confident the chassis was up to the task, it received a silky coat of satin black powder coat, topped with stainless steel spokes, and polished caliper, triple clamp, and rear sprocket. 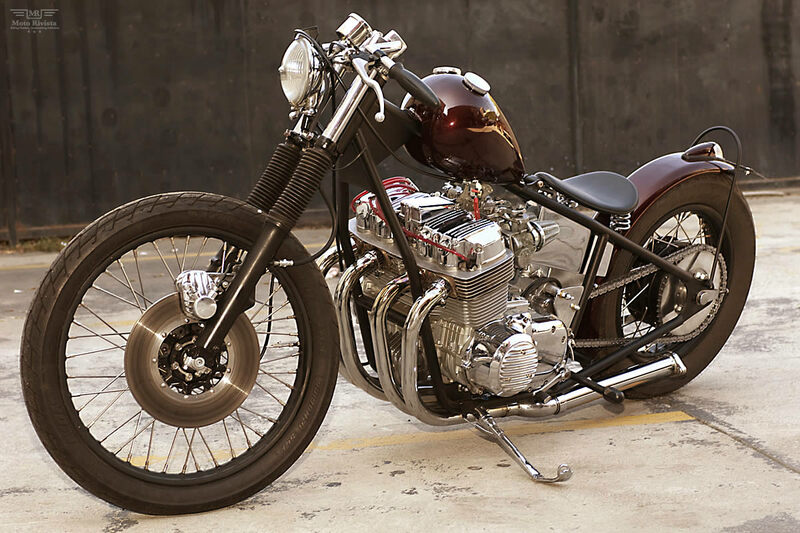 Motivation comes from a '78 CB750F motor. 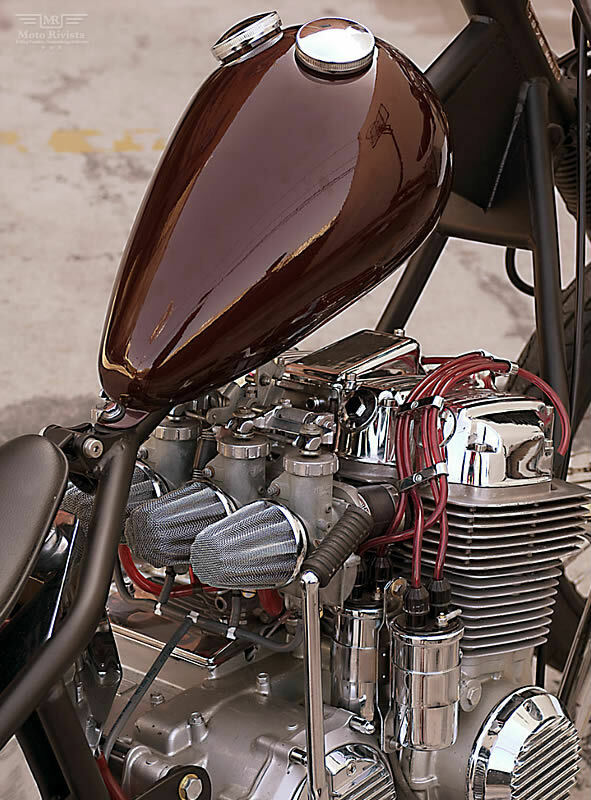 Stripped down, and rebuilt, with chrome covers, and stainless hardware, it breathes through early CB carbs, jetted to suit the vintage Dunstall exhaust. This rare 4-2 collector is tipped with 2" exhaust cutouts. 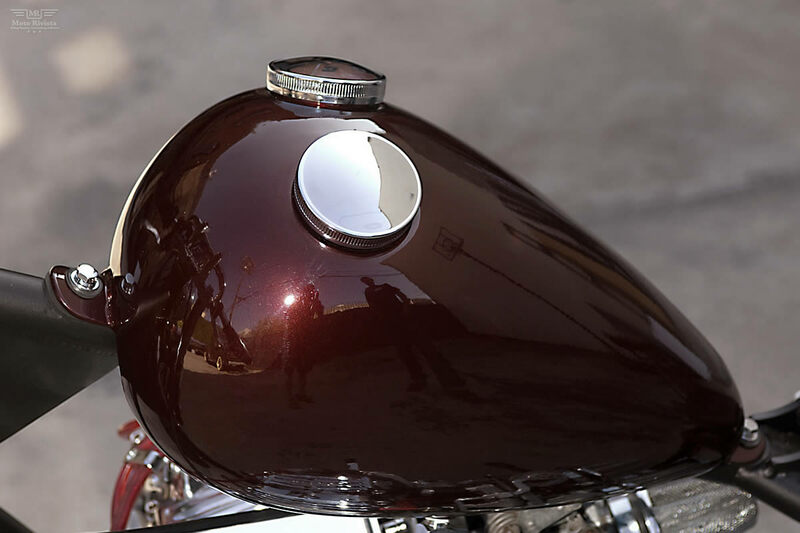 8" baffles attach to the end caps, providing a mellow exhaust note from discreetly drilled outlets. Removing the end caps reminds the neighbours who the bad boy on the block is. Sparking the mix are chrome Harley coils, with copper core wires, and "Rajah" caps, more commonly found on flathead Fords. Coil position mimics drag racing magnetos, in case anyone questions your intentions, which should be clear, based on the aggressive riding position. 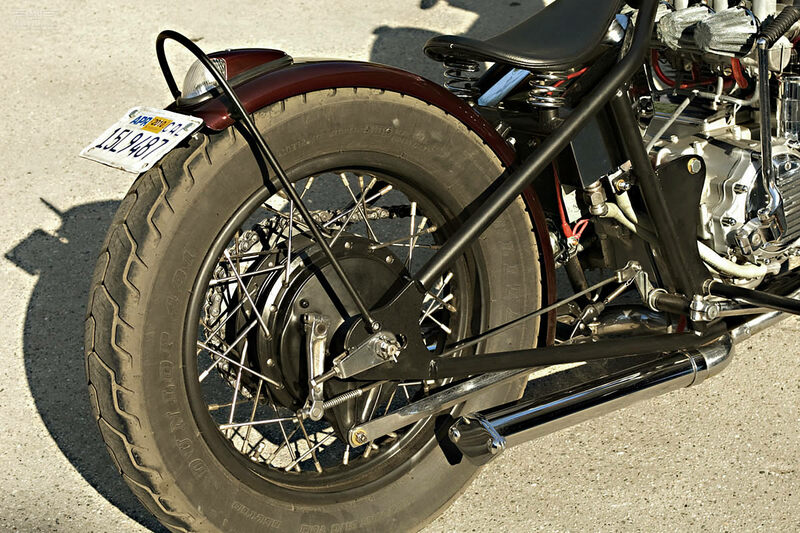 Clubman bars get your hunch on, while keeping your knuckles below mirror level when splitting lanes. A Hayabusa master cylinder feeds the venerable Honda disc some extra juice, in a world of ABS induced delayed reactions. 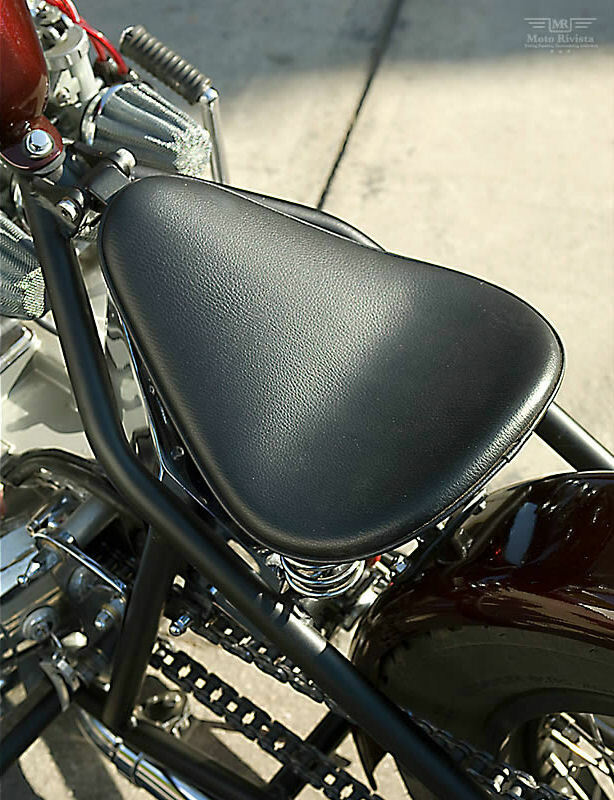 Completing the interface of man, and machine, is a West Eagle seat, sprung with 2" Bates springs. It's kicked up rear keeps yours in its place, and off the 5" rear fender.